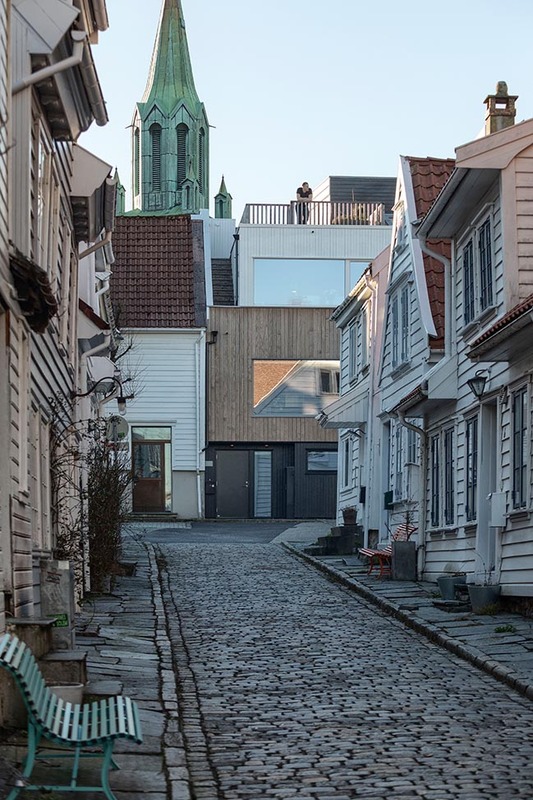 The house is an infill project, utilizing an empty lot in the dense urban fabric of the coastal town of Stavanger. 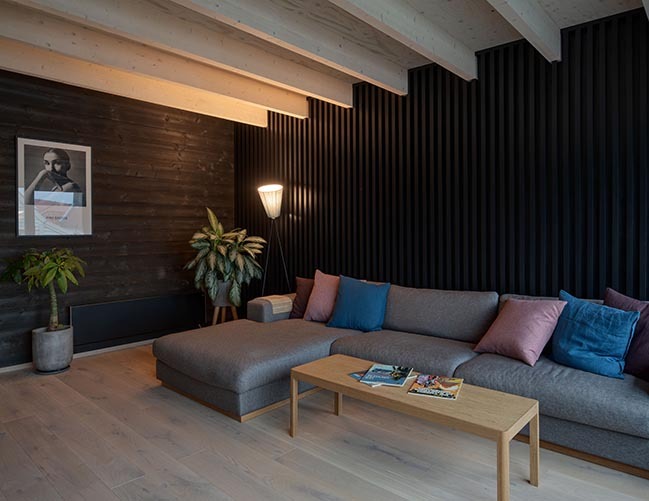 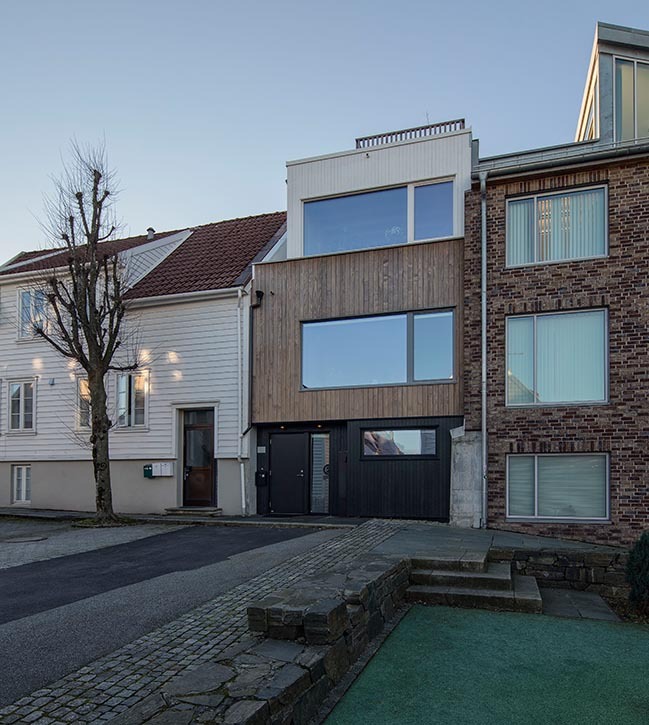 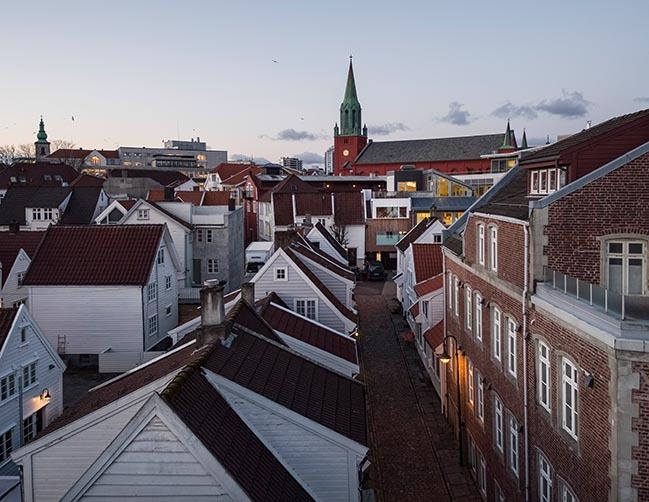 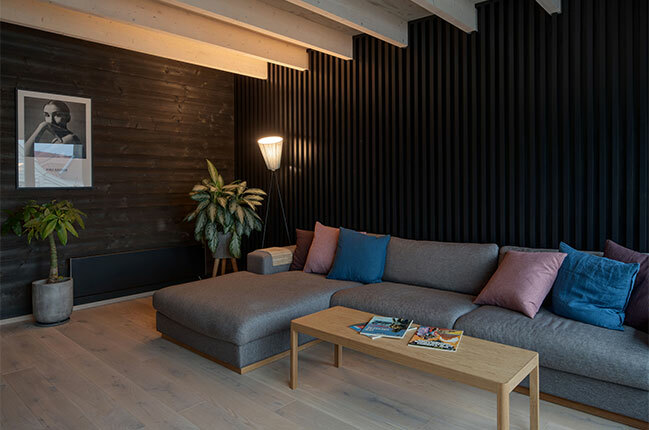 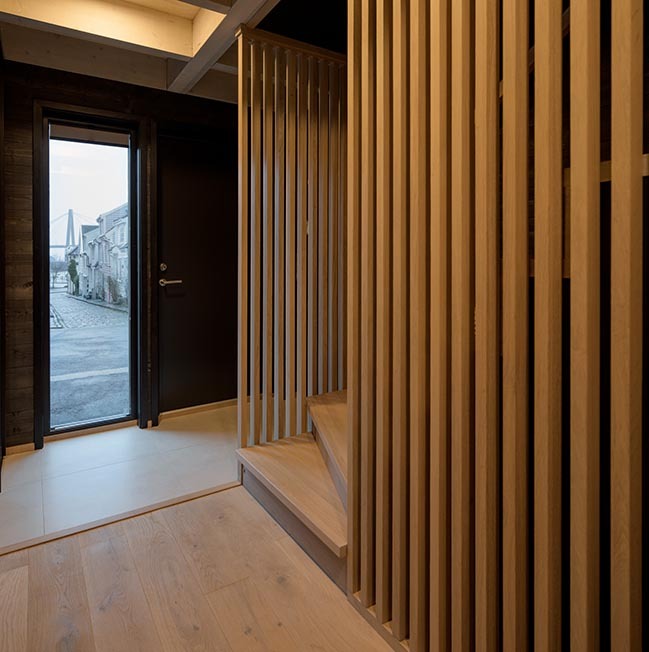 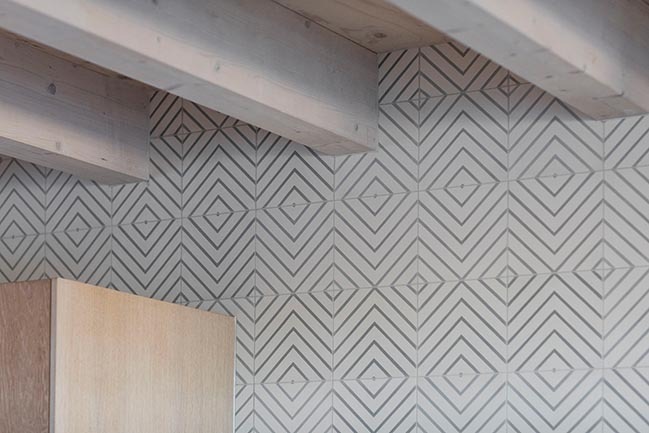 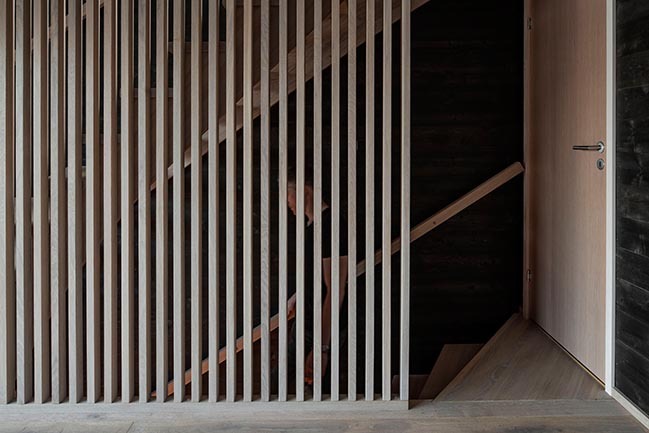 The house is in many ways a sequel to House in Stavanger from 2016, which is located just 100 meters away and which spurred a new development in the area. 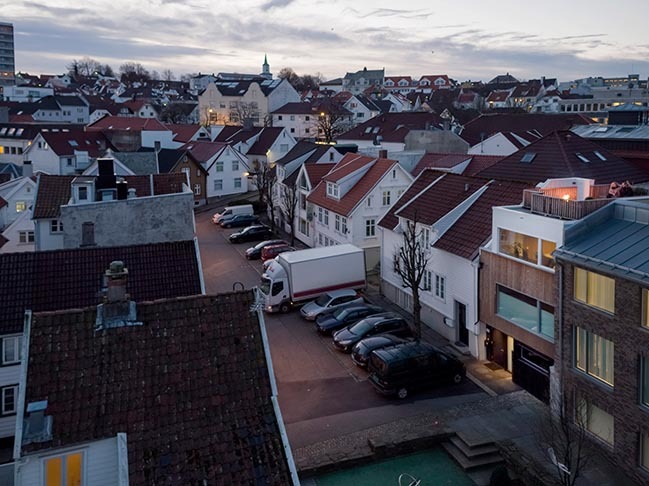 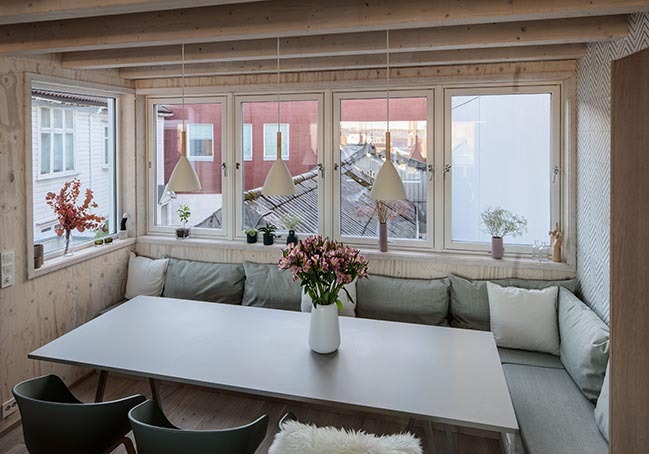 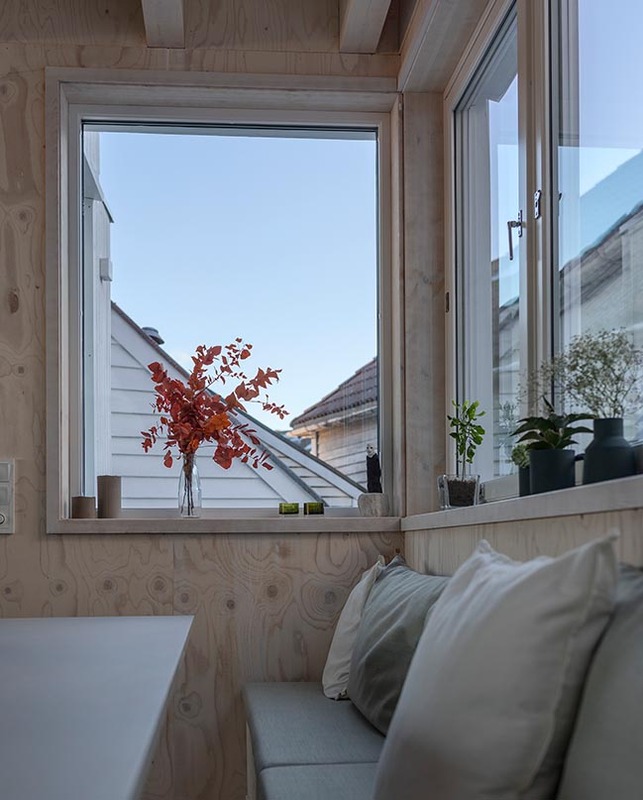 From the architect: The project continues the tradition of low-scale, high-density urban housing in coastal towns of Norway. 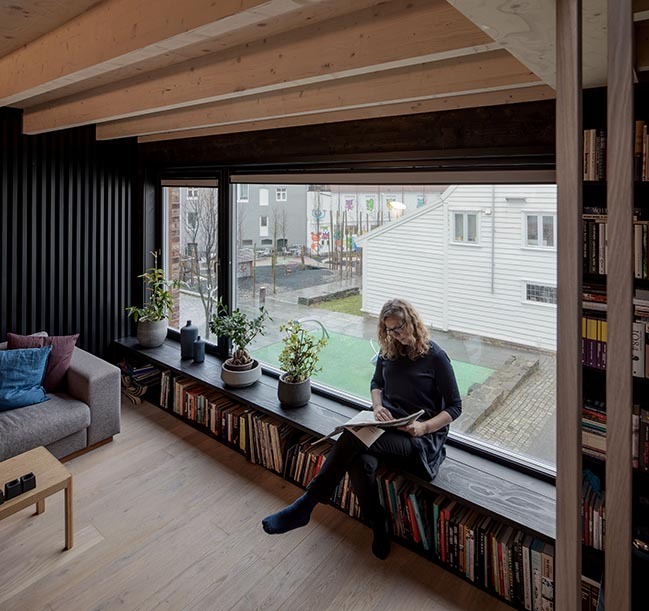 The density in the area is in fact comparable to any Asian megalopolis and provides opportunities for efficient energy consumption as well as a car-free lifestyle for the people who live there. 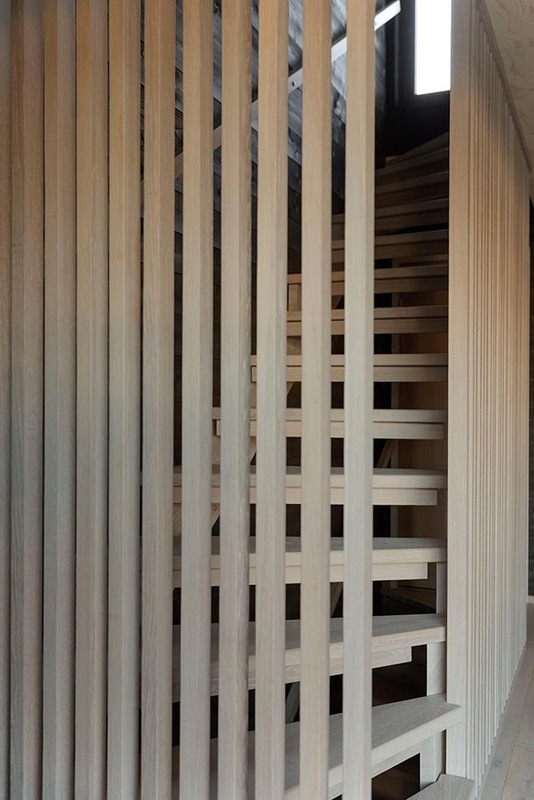 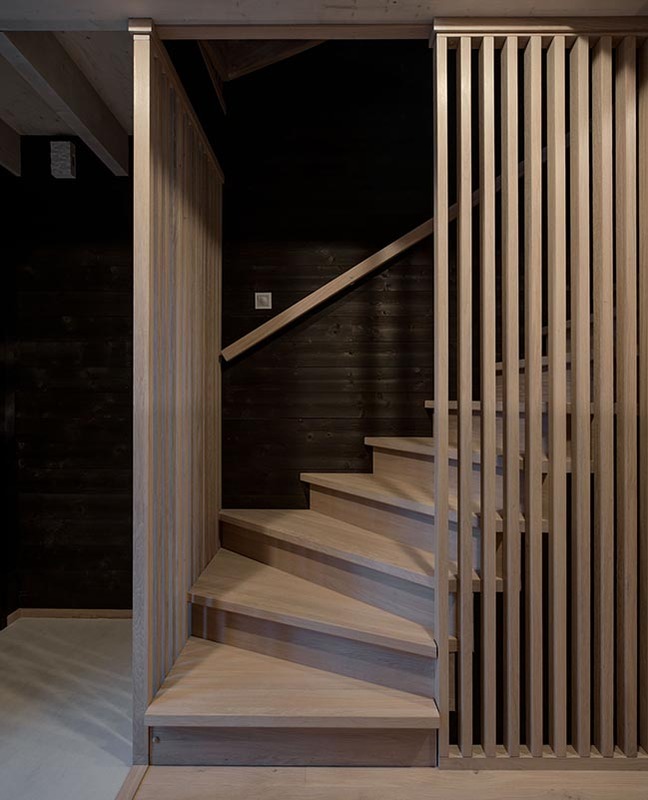 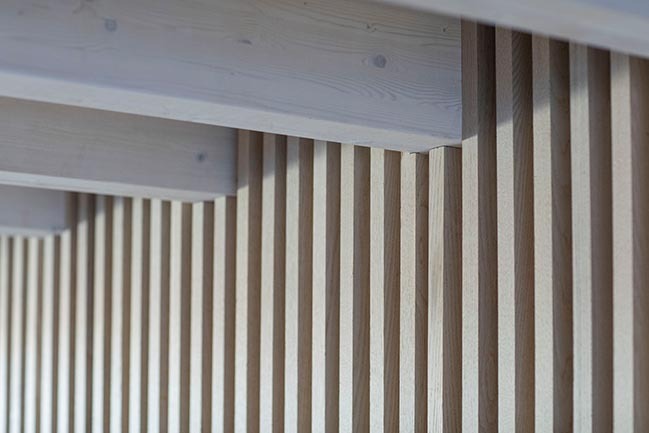 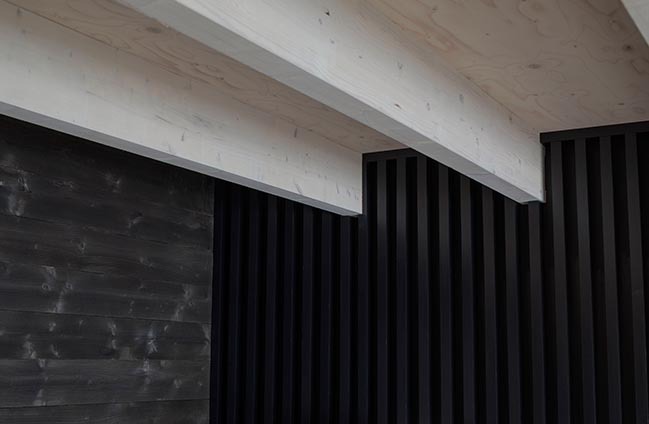 The house is all in wood, both in structure and in cladding. 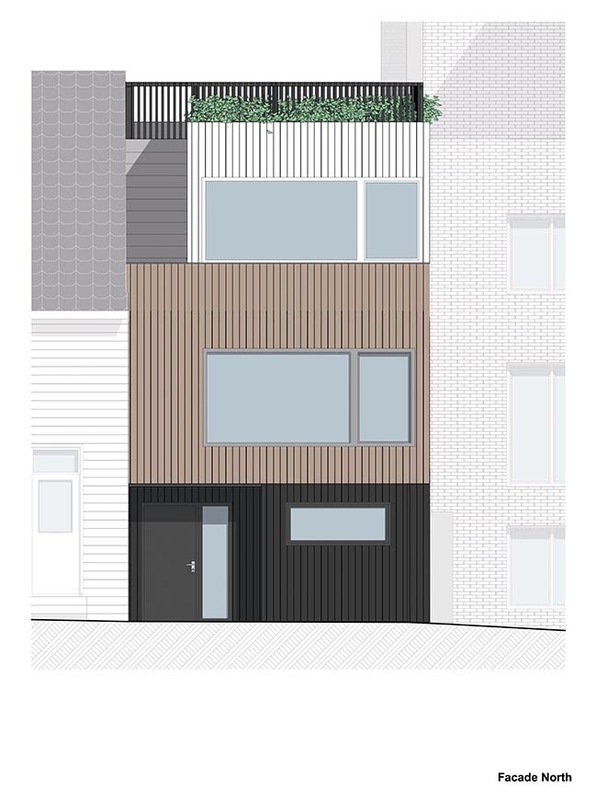 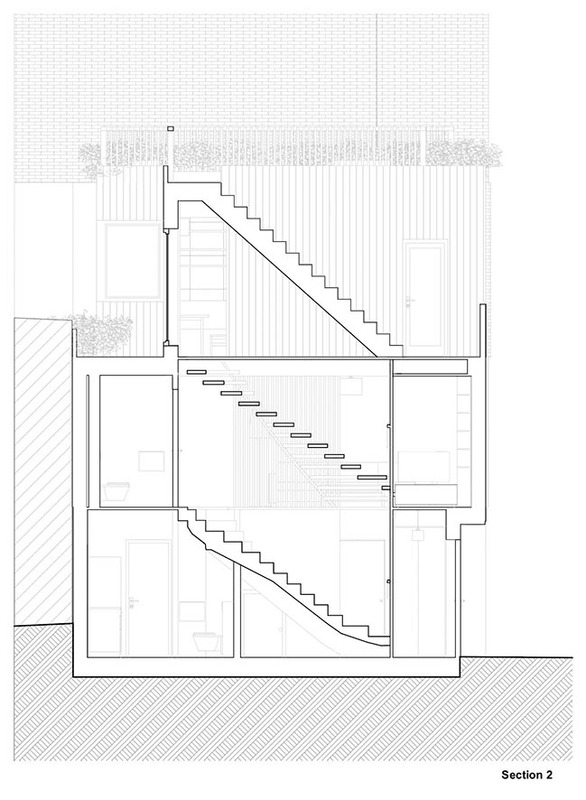 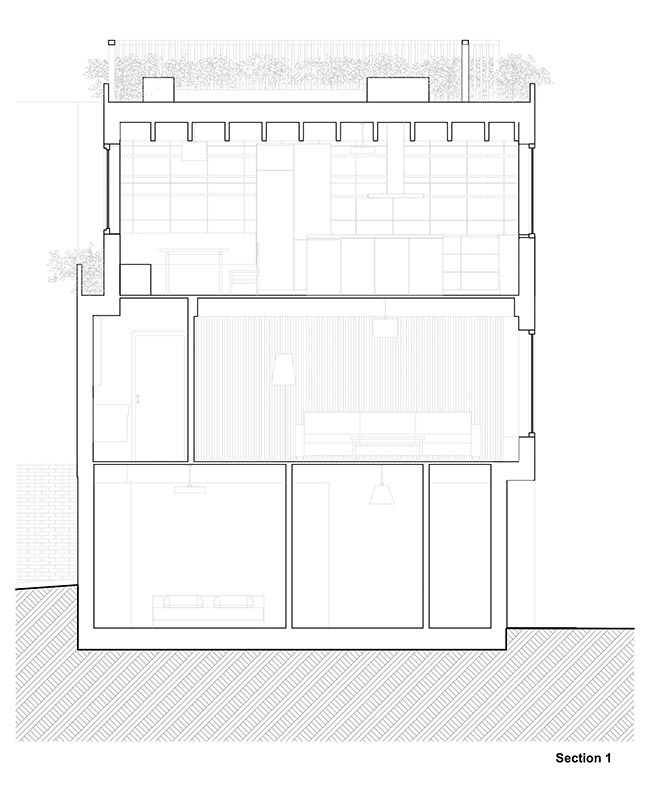 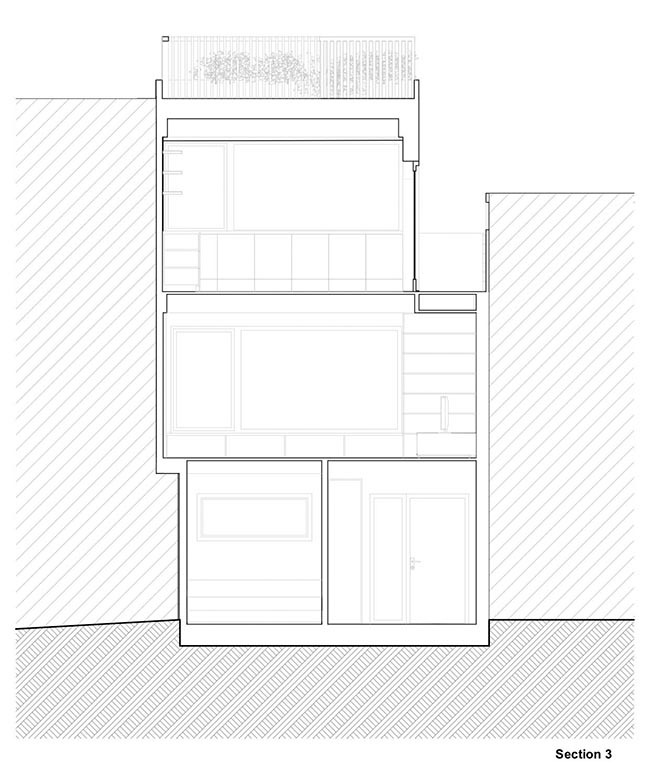 The façade reflects the three layers of the house: The utilitarian ground floor, the living room in the middle floor and the kitchen in the upper floor. 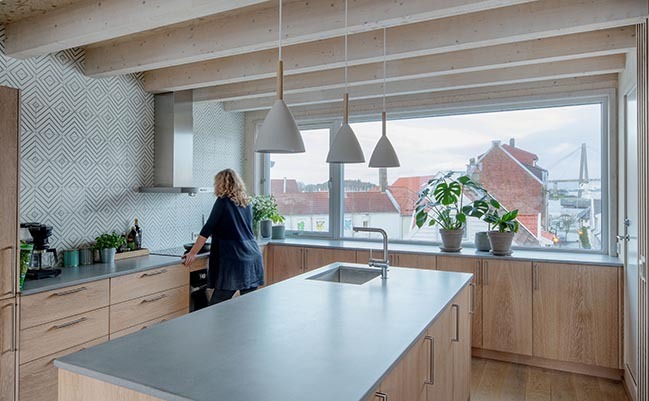 The kitchen is intended to be a bright space with ample daylight and views across the surrounding roofscape of the wooden town. 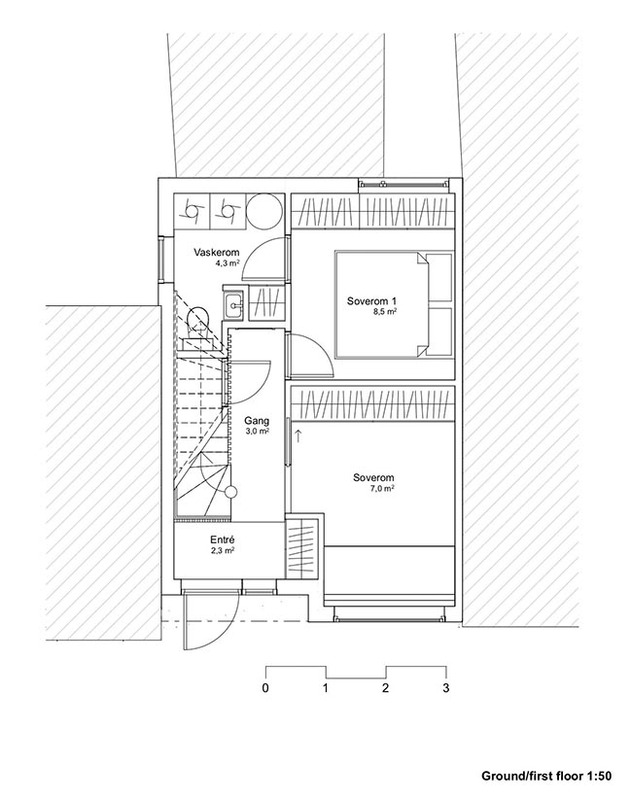 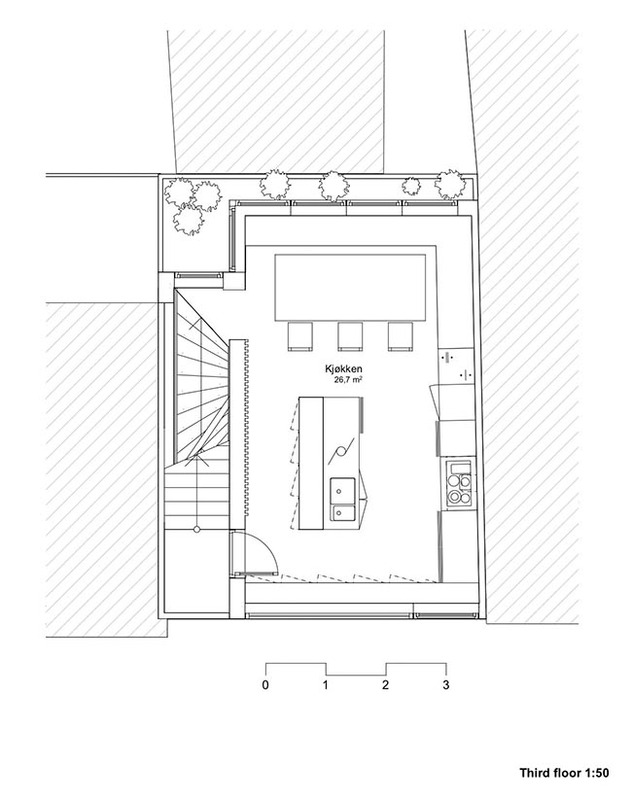 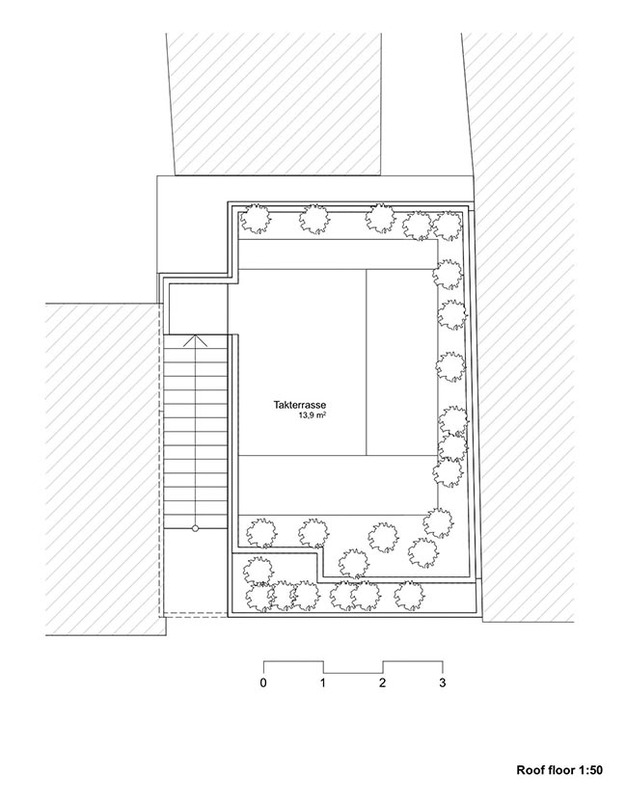 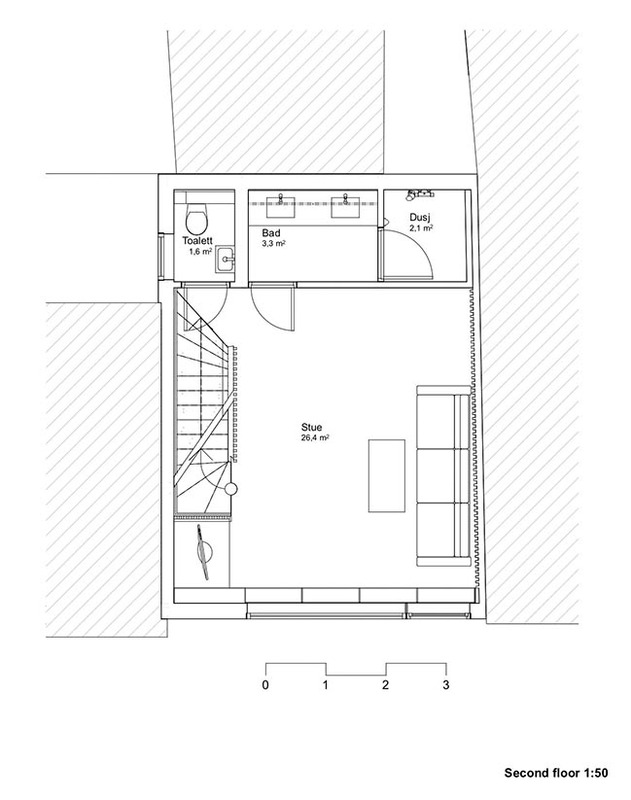 The kitchen has access to a big rooftop terrace above as well as to south-facing outdoor planters on its own level. 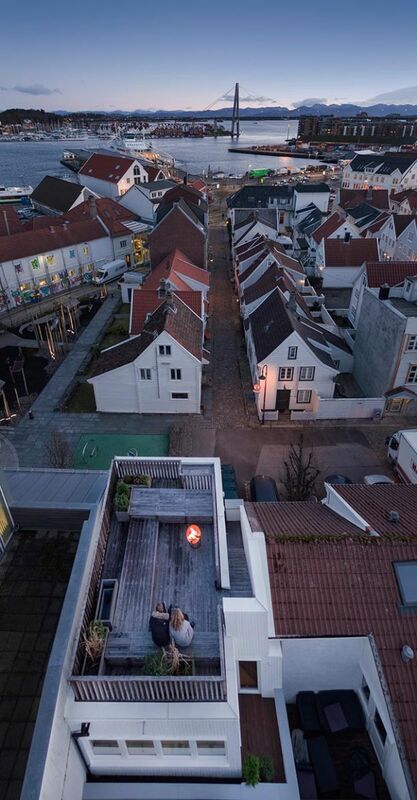 In contrast to this the living room below is intended to be an intimate and dark cave, where the immediate urban life in the street below is visible, however at a comfortable distance. 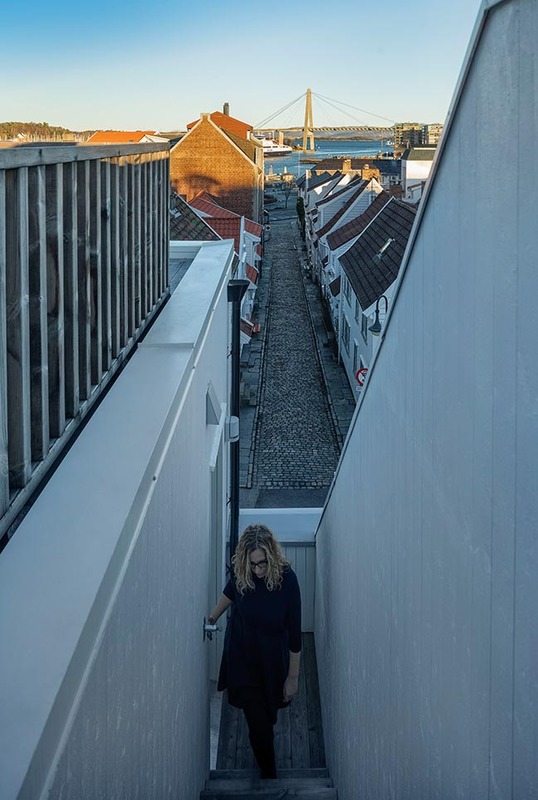 The stairs serve to connect all these spaces into one complex spatial continuity, from the cobble stones out on the pavement, to the views to the mountains from the rooftop terrace.